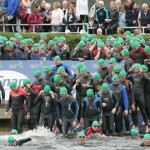 Ireland’s largest triathlon event Waterways Ireland triAthlone is calling on all runners, triathletes, swimmers and fitness enthusiasts to take the 2011 triAthlone Challenge this July. Whether standard, sprint or ‘try a tri’, triAthlone 2011 has a race for everyone and would like to encourage you to TAKE THE PLUNGE in Athlone on Saturday 2nd July. As part of the triAthlone 2011 Challenge absolute beginners can sign up as part of a 2 or 3 person relay team and either run, swim or cycle – by simply selecting their preferred discipline. 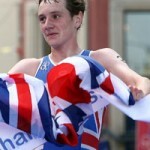 The relay events are available for all distances for the first time with entry fees 25% cheaper than 2010. Additional incentives include cash prizes for each 1st 2nd and 3rd finisher in all distances both Male and Female participants and the winner of each age group in the sprint distance event will carry the title of “Irish Sprint Champion” for 2011 and medal from Triathlon Ireland. Training tips and schedules for participants of all levels can be accessed now to assist your training in the build up to the big day www.triathlone.ie, so no excuses! Organiser, Liam Heavin speaking about the event said “Every year we are amazed at the amount of beginners and people of all levels that sign up to take part and we want to appeal to them and previous participants to take part again for 2011. We want to encourage as many runners, tri-athletes, swimmers and fitness enthusiasts to get on board and take the challenge”. The River Shannon will provide a spectacular backdrop to the popular calendar event which has been growing in size since 2006 and hosted Ireland’s first ever European TriAthlone Championships in 2010. The Waterways Ireland triAthlone commences with a swim along the river Shannon which flows through Athlone town, followed by a cycle and run around and through the streets of Athlone. 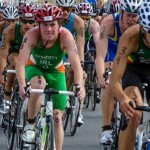 Waterways Ireland triAthlone is delighted the Athlone Town Council annual summer festival Summerfest will take place over the weekend of 1st July. The very successful family event which has run for the last few years promised to offer great fun and excitement to supporters, participants and families and people from all over Ireland who can visit. Participants are also being encouraged to take the Waterways Ireland triAthone charity challenge by supporting one of their nominated charities; Crumlin Children’s Hospital and Breast Cancer Ireland.